Falakro mountain, a trademark of the Prefecture of Drama, comprises of a complex of three massifs: «Aghio Pnevma” (1629 meters high, located at the NW side, “Aghios Pavlos” (1768 meters high) to the SW and “Prophet Ilias” (2232 meters high), located at the East side and surrounded by the peaks “Vardena” and “Chionotrypa”. Because of its particular geological substratum combined with the climatic and soil conditions it has a rich flora with rare mossy plants. Falakro mountain is covered by grasslands (45%), forests (35%) and bushes, rocks and bare regions (20%). It is ideal for mountaineering, especially the eastern side, for climbing, for air sports, walking tours following the European mountain pathway E6, as well as for ski during the winter months. Breathtaking cliffs, skiing, paragliding, E6 trail! Mountain Falakro is the last ‘outpost’ of the vast Rodopi Mountain Range. It is naturally separated by the lakes of river Nestos and raises at 2229m above sea level. 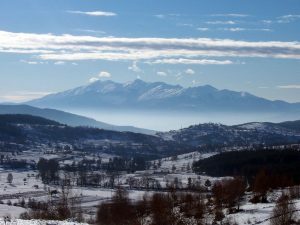 Falakro features one of the few ski resorts in Northern Greece with many ski tracks, operating every year during the winter months. 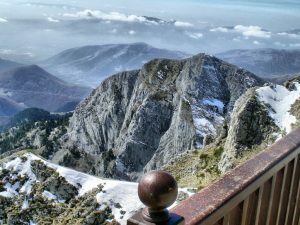 A second mountain, Agios Pavlos (part of Falakro Mountain Range), reaches 1768m adding up to the hiking network. A small forests of beech may surprise the visitors in the plateau of Volaka. North you can see the lakes of river Nestos. 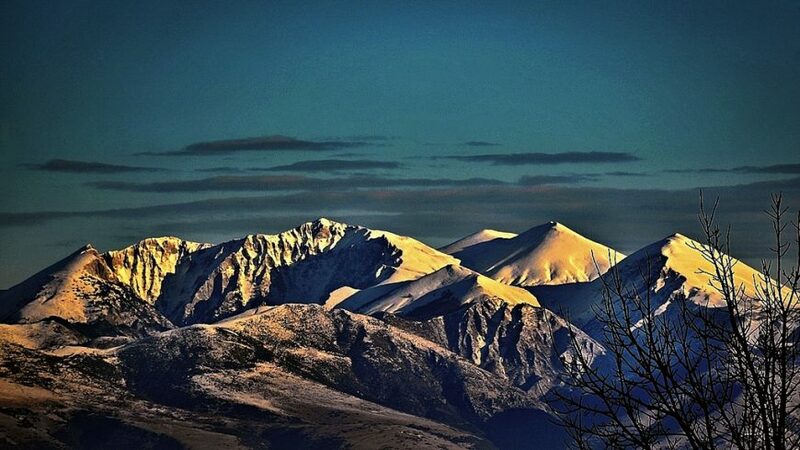 It is one of the tallest mountains of Greece.The top of Prophetis Ilias in the 2232m is the highest. Falakro is recommended for climbing in Greece. 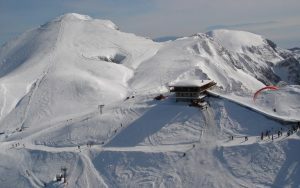 It is also offered for ski in the ski centre, walk, ascension, mountaineering ski, mountain bike etc’. Fascinating experiences and unique emotions for funs of adventure. The importance of flora and the fauna of Falakro imposed the integration and his protection in the organization “Nature 2000” with the name “Peaks of Mountain Falakro”. Transfer Thessaloniki is the best way to discover this beautiful mountain! We are here to transfer you from Thessaloniki Airport to Falakro Mountain in Drama. Your transfer, is our pleasure!